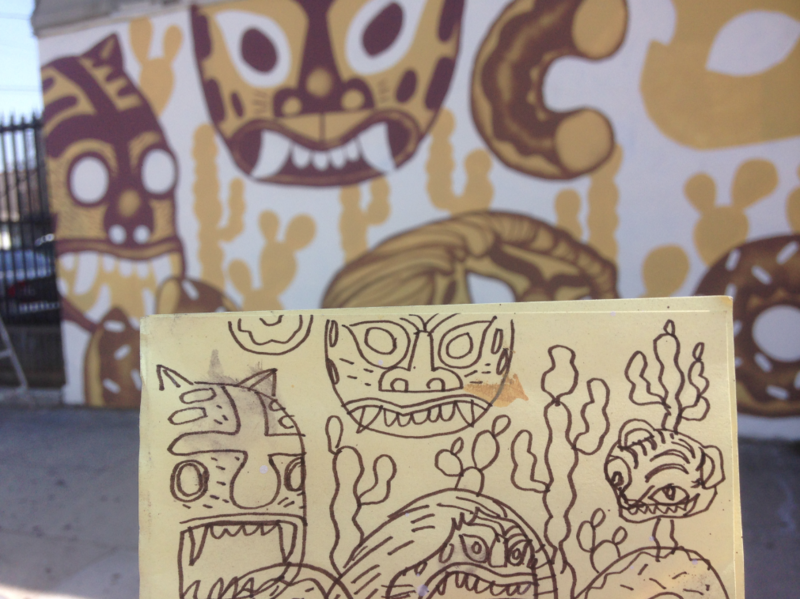 I painted this on behalf of High Rise Murals in the historic neighborhood of Harvard Heights. Down the street from Ray Charles’ studio, and Marvin Gaye’s former home. 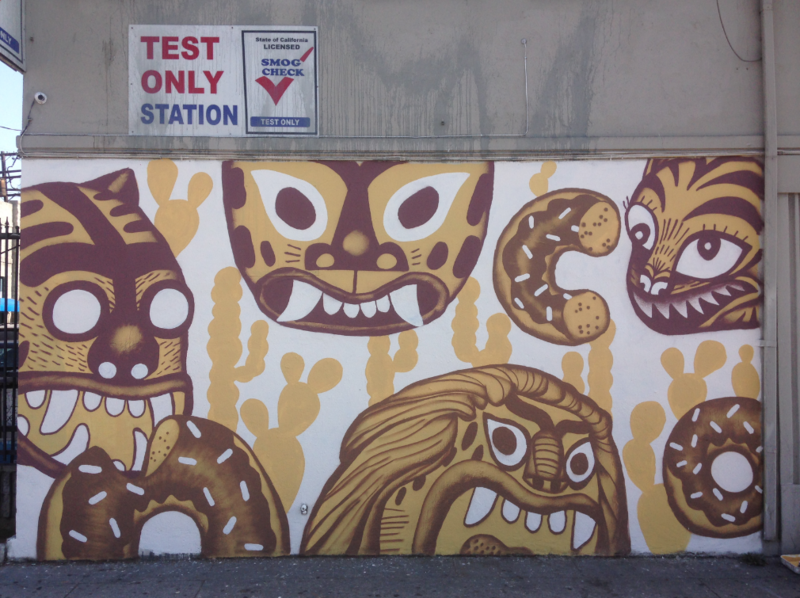 There are some Korean and Mexican inspired tiger masks, chilling hard in the desert, eating delicious chocolate covered Los Angeles donuts.